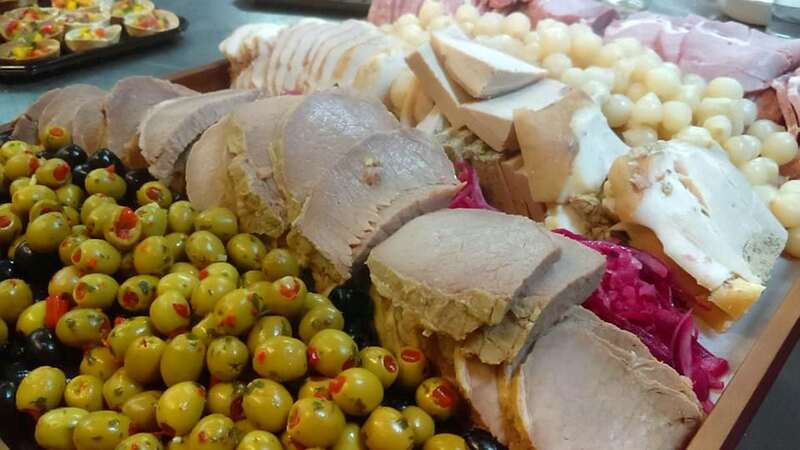 A green-minded couple used food destined for landfill to create a mouth-watering menu for 140 guests at their wedding reception. Cherie Harris and James Mainwaring enlisted the help of food waste charity The Real Junk Food Project to create a menu made up entirely food heading for the bin. 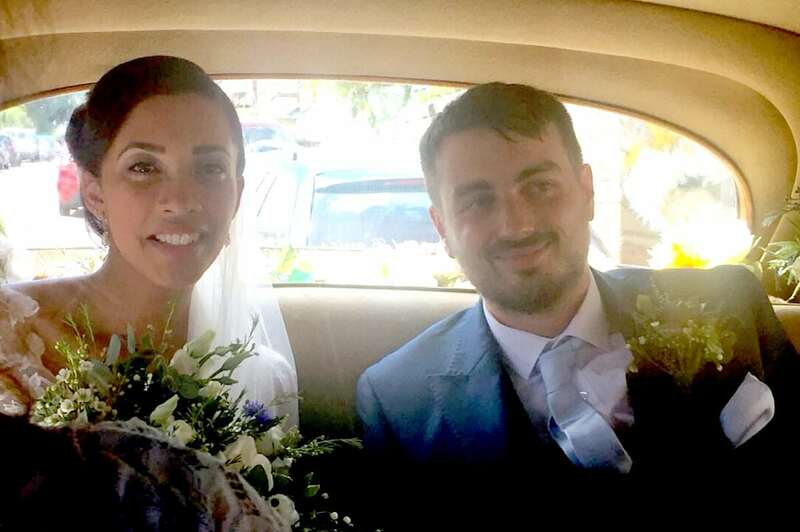 The green couple wanted their wedding to have as little mark on the environment as possible – and they did this by leaving no food waste. 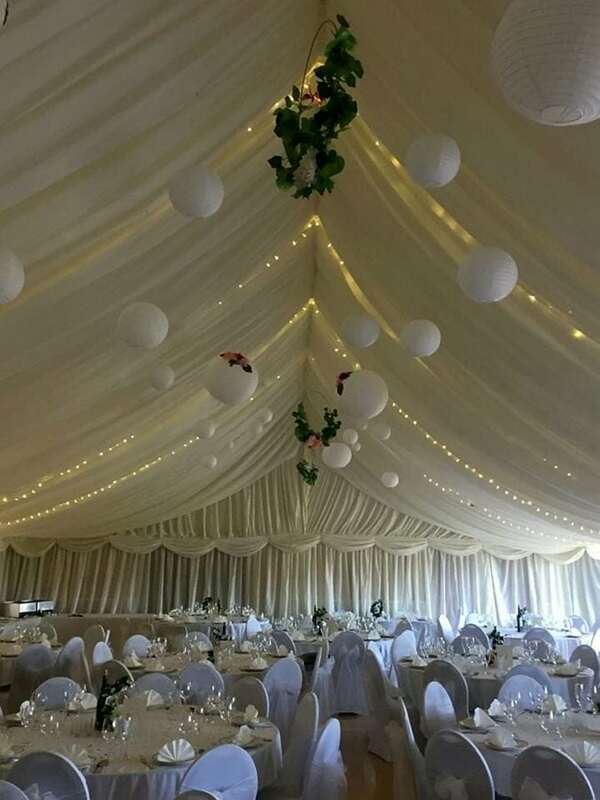 The pair did not tell their guests who provided the catering for their wedding last Saturday, at their reception at the pretty East Keswick Village Hall, Leeds, West Yorks. Cherie, who worked as a carer until she went on maternity leave after the birth of their little girl, Iona, 15 weeks ago, said: “We wanted the food to speak for itself. “We did not tell our guests what they were eating until the speeches. In fact, the beauty of a spread delivered by the Real Junk Food Project (RJFP) is that the customer never really knows what they are going to get. It is all down to the luck of what comes into the warehouse. The RJFP food is collected from supermarkets, sandwich chains and fast food outlets, using food they would have to throw out because of their own health and safety regulations. All this food is still perfect for human consumption and they are not breaking any laws by feeding guests with it. 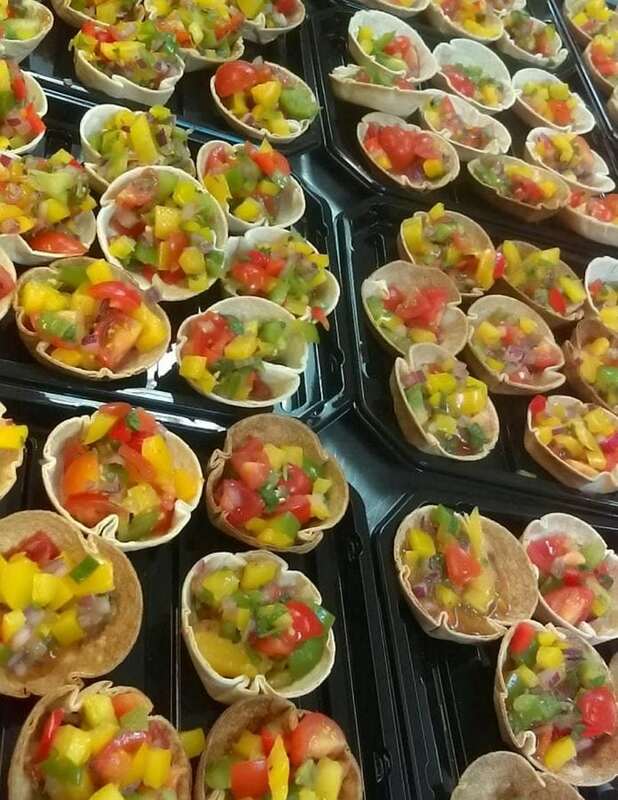 They use the food to cater nationally for events, feed customers in pay-as-you-feel cafes, stock pay-as-you-feel supermarkets and supply food for schools. 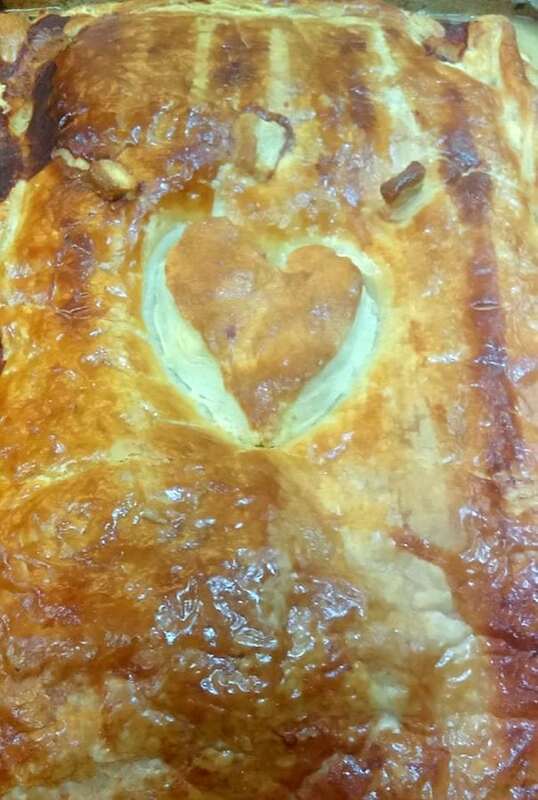 Events Co-ordinator of RJFP Leeds, Emma Buckle, said the charity would be aware they have a wedding on their books so will do their best to freeze any food they wish to put away for the wedding. Cherie booked the catering for her own wedding a year ago. Other than that the charity rely a lot on “praying to the food fairies” for certain ingredients to come in. “And it usually does,” said Emma. The menu they create for the special day is made entirely from junk food, not a single ingredient, be it spice or grain of salt, is ever purchased. Cherie, 36, and saxophonist James’, 29, who plays for the popular band Roller Trio, own menu featured a mix of veggie, vegan and meat feasts for their multi-dietry requiremented friends. 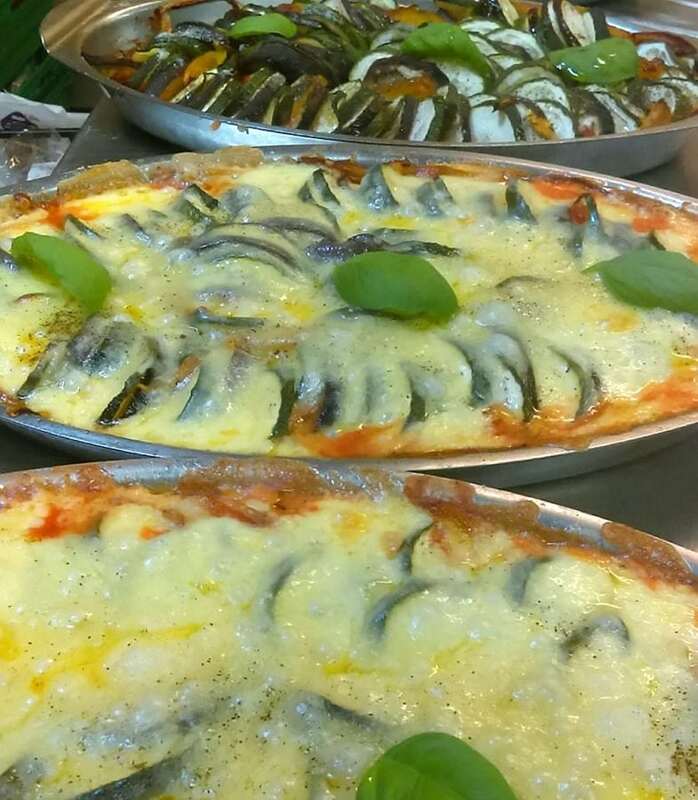 The mum-of-one, from Leeds, said: “When we looked at other food options you can find that menus are rather limited, with the RJFP the possibilities are endless. Their guests were spoiled with meals concocted by excellent chefs used to thinking on their feet to prepare delicious food from waste. Saturday’s guests were treated to a hot buffet for a sit-down wedding breakfast fit for kings. 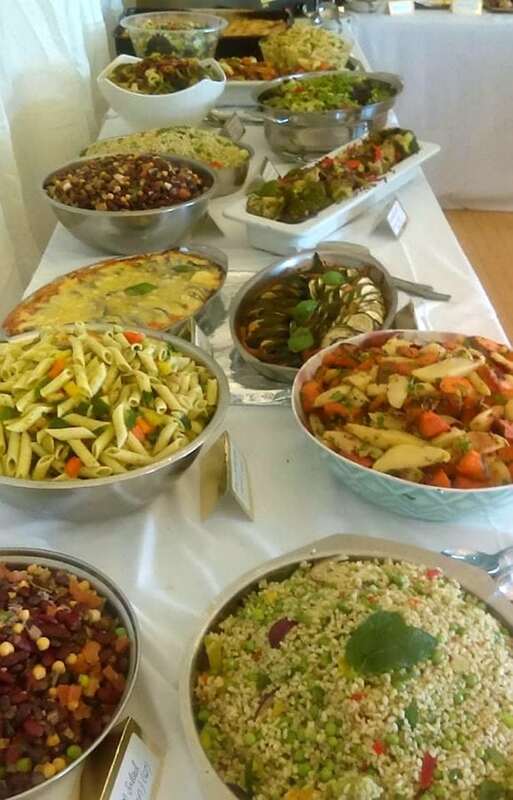 They had spinach and chickpea curry, chicken and bacon pies, sausage and bean cassoulet, ratatouille, cold meats and pickles, a cheese board, oven roasted thyme and lemon chicken and tortilla cups filled with Mexican salad (gallo d’pico) – all created from scratch by the RJFP team. 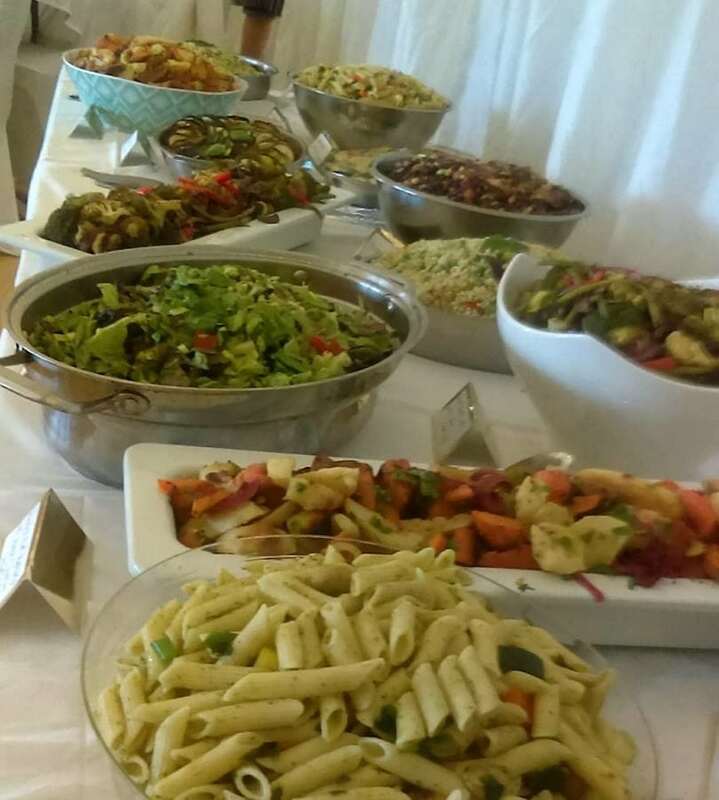 These were accompanied by a selection of tasty salads, pasta dishes and veggies. 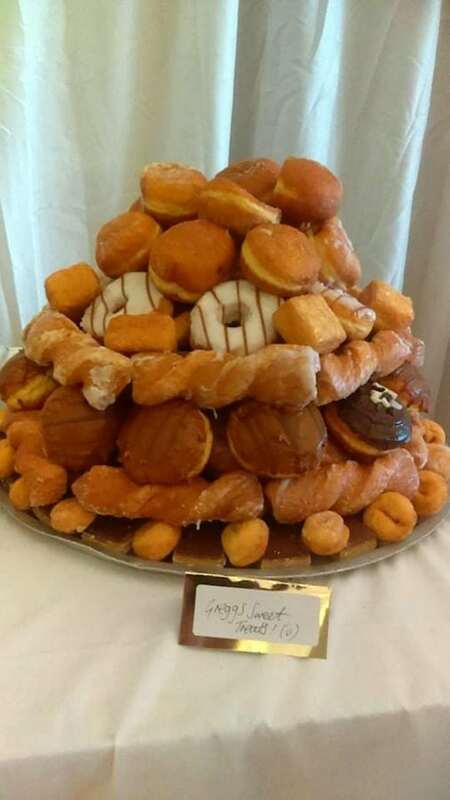 There were veggie cakes and a Gregg’s donut tower for dessert. Another benefit of using the RJFP is the cost – using food destined for landfill is relatively cheap. Of course there still has to be payment for the food prep and staffing and collection costs but as their food has come free it means costs are low. Prices start from a cold buffet costing as little as £5 a head, with a hot one costing £6 a head. It is not only plastic waste that is bad for the environment. Even food, when it breaks down, emits greenhouse gasses, including carbon dioxide and methane. 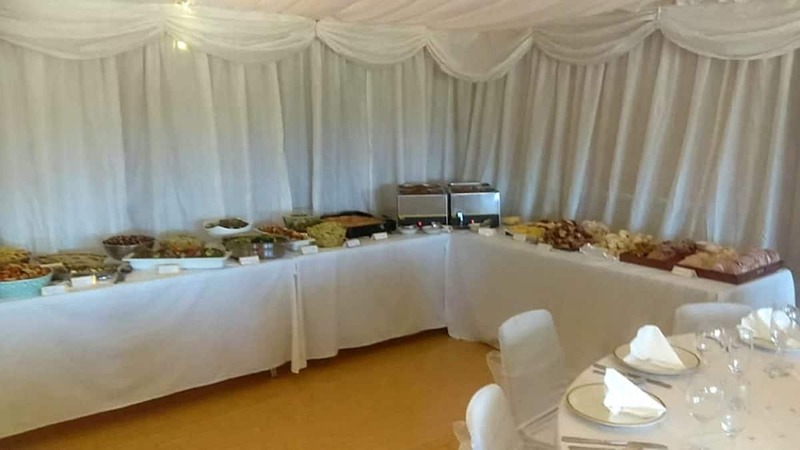 The buffet on Saturday, going on 250g per person – which is not a lot – saved 35 kilos of waste – that’s 66.5 kg of CO2 emissions, using the equivalent amount of energy of six days consumption of electricity for the average household. The happy couple did other bits for their environment with Cherie wearing a dress that was lined with material made from bamboo pulp, and also made all her own invites and decorations. Their wedding favours were seeds that their guests could plant and grow. 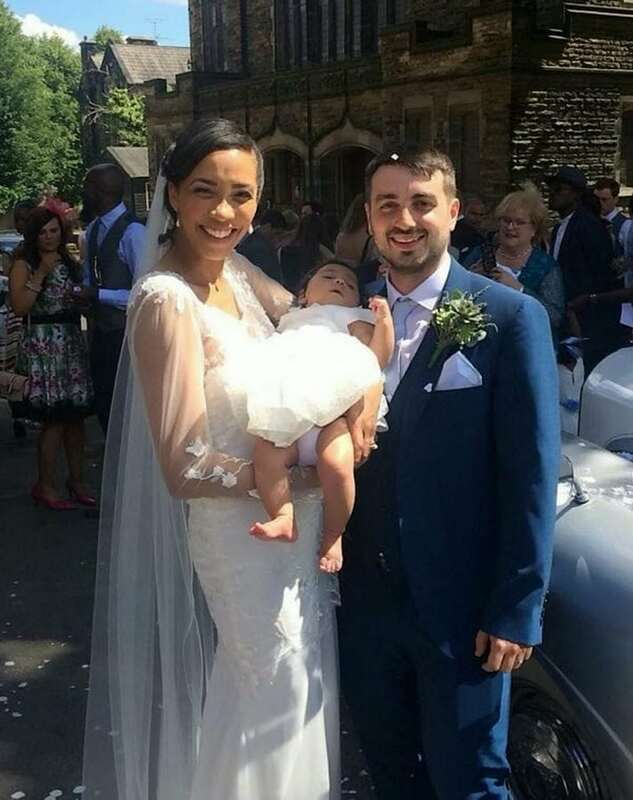 Cherie said: “What is wonderful is that we were able to use our wedding to spread the word about food waste and make people think about using up their own leftovers.